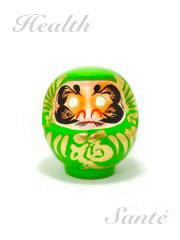 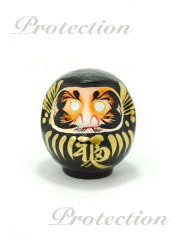 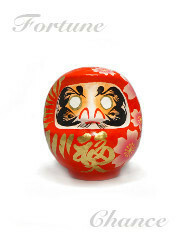 We are proud to offer to the world the widest selection of Daruma made in different parts of Japan by talented craftsmen. 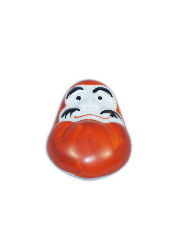 Daruma dolls are lucky charms in papier-mache, usually sold in Buddhist temples. 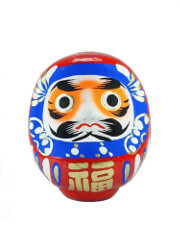 Coming from Takasaki, a city located in Gunma prefecture, they were created by a monk for his followers during the 18th century. 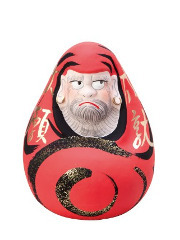 These statues represent the Indian monk of the same name (called Bodhidharma in the West), who was the creator of Zen Buddhism during the 5th century. 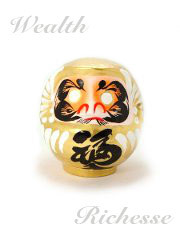 All our models are traditionally made in Japan by craftsmen. 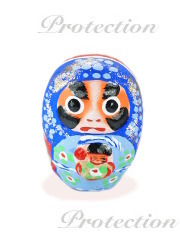 The main purpose of these dolls is to help their owners to continue believing in their dreams and to encourage them to achieve their goals. 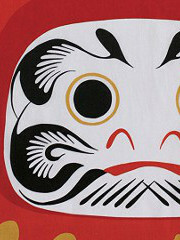 It is not a coincidence that they do not have pupils. 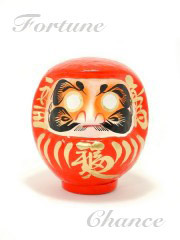 When you set a goal to be achieved during the year (whether professional, love, related to education...) you have to draw the left eye of your daruma only. 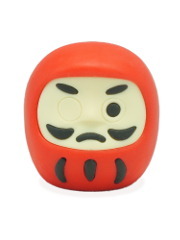 With his single eye it will regularly remind you that you have a goal to reach and will encourage you to succeed. 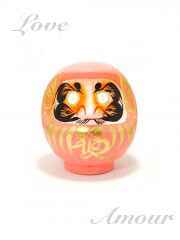 Once the goal is reached you can draw the other eye. 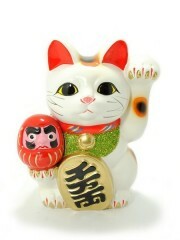 Once you have a new goal in mind, you can acquire a new model. 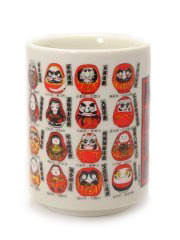 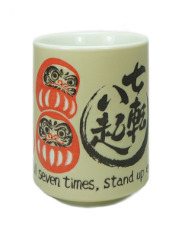 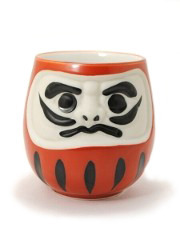 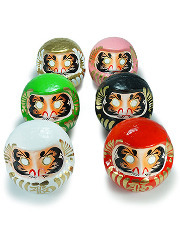 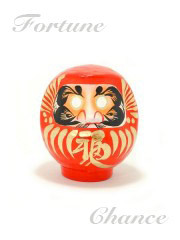 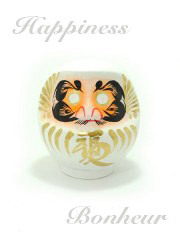 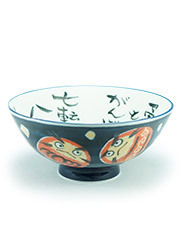 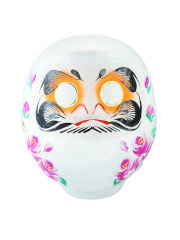 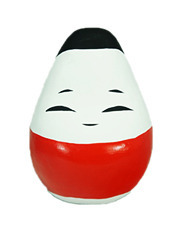 Shapes and colors vary but the original Daruma is round, red with black and golden decorations. 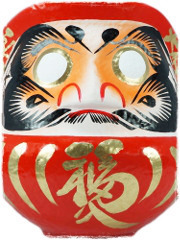 The particular shape of the statue and its weight balance allow it to always get back straight to its initial position. 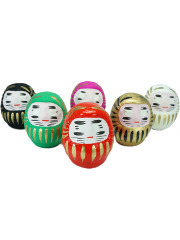 An old saying referring to these dolls is falls seven times, gets up eight times. 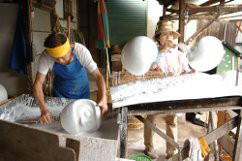 After being crushed and boiled for a long time paper is mixed with a special adhesive and then placed in molds with the proper shape. 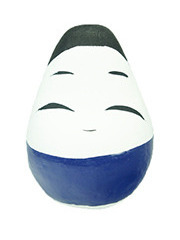 When the papier mache is dry the dolls go through a first painting process where they are completely covered with white. 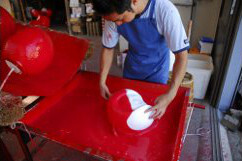 They are then covered with a second layer of paint corresponding to the desired final color and the face of the statue is painted in white. 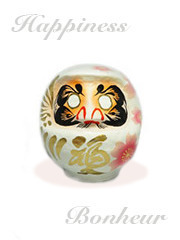 The next step is to add all the details such as the face and kanji on the belly. 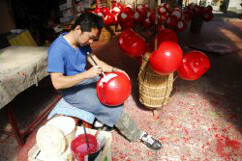 The final step is the drying process where the dolls are put on top of bamboo sticks. 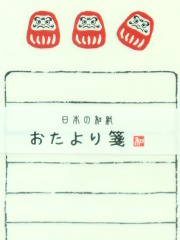 Once dry, a paper patch is added at the bottom to cover the remaining hole. 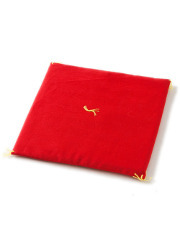 We assure you the best wrapping and packing for your fragile items. 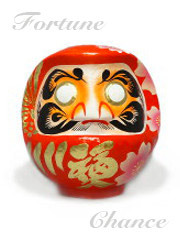 We will be happy to answer you for any information request you might have, do not hesitate ! 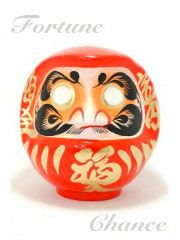 Height : 12cm (4.7in) / 20cm (7,9in)Material: Papier macheDaruma handmade and handpainted (except flowers) in Japan.